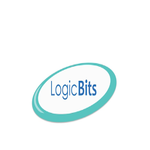 LogicBits is an IT based firm having everything under one umbrella, We are in Software and Web development, Web Hosting and Industrial Training Workshop and other IT related Services to the software industry. We basically have a unique standard to follow for each and every process and our professionals try their each bit to accomplish the goals of the company. To design and develop solutions that can transform our clients business. These solutions are tailored for our clients business to improve efficiency, productivity and quality in a cost effective manner. Our goal is to help our clients derive the most value from the existing systems, devise innovative solutions and at the same time to profit from the inherent efficiencies that the internet brings. It has been established that the intellectual capital is the real driving force behind leading software companies. At LogicBits, we want to succeed, and strive to create a culture in which our workforce can learn and grow. We recognize that our most valuable asset is our human resources, our people, and because of that, we continuously strive to attract, motivate, develop and retain quality people.